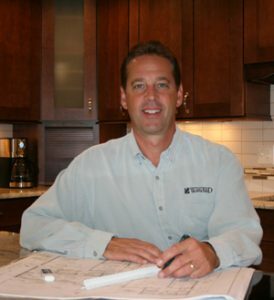 Rick Schmadeke of Westwind Construction has been in the business of custom home building and high-end remodeling in Indianapolis and the surrounding area for more than 20 years. A hands-on professional, Rick is directly involved with all projects, maintaining close client communications and overseeing his team to ensure the highest quality work, best building practices and timely completion. In a day and age when personalized service seems like an outmoded or discarded concept, Rick puts his emphasis on remarkably close relationships with his customers. In fact, Rick and his family choose to live in a neighborhood featuring a number of homes built by Westwind Construction. Many of Rick’s past customers regard him as a friend and great neighbor. Rick comes from a family rich in real estate development experience. His father, William A. Schmadeke, was a well-respected residential and commercial developer in the Indianapolis area. His brother Kurt is also involved in residential and commercial construction as well. Rick takes very seriously his responsibility to uphold the Schmadeke name and the good reputation he and his family have built over the years. Whether you are seeking a bit of professional advice or ready to move forward with a project, contact Westwind Construction, to find out how Rick and his team can bring their extensive experience and craftsmanship to your next construction project.